Is there a Future for Isco at Real Madrid? 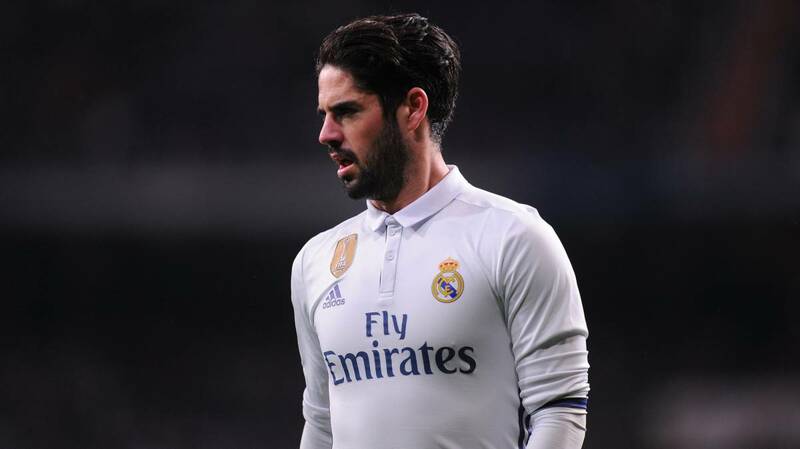 It was on the 26th of June that Real Madrid president Florentino Pérez confirmed that a deal had been reached with Malaga for Francisco Román Alarcón Suárez, better known as “Isco”. The fee stood somewhere in the range of 30 million euros. The Malaga-born player was the first signing of the Carlo Ancelotti era at Real Madrid. A technical player, gifted with good dribbling skills and a low center of gravity, Isco, though 21 had a lot riding on him. Isco had a near perfect start to his Real Madrid career, helping the Blancos to a comeback 2-1 win over Betis at the Bernabeu. A stellar performance which included an assist and an 85th-minute winner. The Santiago Bernabeu has for long been a place which craves and takes pride in its Spanish talent. The performance against Betis seemingly set the right base amongst the Bernabeu faithful for the former Valencia man. The good run continued for Isco against Athletic Bilbao, scoring twice in a 4-1 home win. Isco’s start looked good, the 4-2-3-1 was working well for Carlo Ancelotti, and Isco seemed comfortable in the role behind the forward. That was, however, about to change with the arrival of the then-record signing of Gareth Bale. Something that was to be a constant feature of Isco’s forthcoming years at the Capital club. Bale’s arrival and Di Maria’s evolution as a third midfielder meant that Carlo Ancelotti had now moved to a 4-3-3 formation. Leaving no room for the Malaga born player in the starting line-up. The shift in formation meant that Isco’s opportunities remained limited. Being the big Spanish acquisition of the summer, Isco was constantly tried out in various positions, a deeper role, out on the wing and as a false nine in a front three. All these positons weren’t his natural positions and Isco struggled for consistency throughout the season. The season though might not exactly have been what he imagined, but wasn’t too bad overall. Decent showings against Bayern Munich, Barcelona, and Atletico meant that Isco had made his own contributions towards Real Madrid’s double-winning season. The 2014-15 season saw the arrival of a World Cup star in James Rodriguez. James’ position was pretty much the same as the Spanish midfielder but had a lot more ability in front of the goal. Isco’s place was once again under pressure. One could call it faith, coincidence, or just luck, but Isco managed to find his place in the starting line-up. Consistent injuries to the likes of Bale, Modric, and Khedira meant that Isco became a regular starter through the course of the season. Isco’s positions varied, from a wide left midfielder in a 4-4-2 to a deep-lying midfielder in a 4-3-3. His inabilities in certain positions, however, were seemingly evident. Defensive frailties and unfamiliarity with the different positions meant that both Isco and Real suffered. Finishing the season trophyless, Carlo Ancelotti was sacked at the end of the season. 2015-16 saw the arrival of Rafa Benitez at the club, a season which so far been the worst for the Malaga born technician at Real Madrid. The season which saw Isco fall down in the pecking order. Often seen playing a 4-2-3-1, Benitez deployed Bale in behind the striker, Ronaldo on the left and James more often than not on the right. Further competition from the likes of Vasquez and Jese meant that Isco was never really able to get the minutes he’d have liked to prove himself. A poor run of results saw Rafa Benitez sacked by end of 2015, replaced by Zinedine Zidane. Zidane, though starting off with a 4-2-3-1, quickly moved to 4-3-3 in order to find the stability in midfield. A move which saw Isco getting more appearances off the bench than starts. The trust factor, however, was there between the manager and the player. Something that wasn’t visible during Benitez’s time at the club. Trust that was repaid by the player during Madrid’s historic double winning season in 2017. Isco, though not a first team starter, did get quite a lot of chances to play. Owing to Real’s rigorous schedule and a good bunch of players. Isco found himself in what was famously called the “B” team set-up for Zidane’s Real Madrid. While the midfielder didn’t start a lot of the big matches until the climax, his form and performances against the lesser sides made him a definite contender for a starting role. The performances did help as Isco in the absence of Gareth Bale played a massive role for Los Blancos. Given a free role in the diamond midfield, Isco was brilliant. Starring in wins over Atletico and Juventus, the Valencia youth product showcased his quality and ability on the ball. Performances that made sure of his presence at the club. A Future for Isco in Madrid? This season, though, it’s been tough going for Isco. Real Madrid have struggled and have fallen from last season’s standards quite dramatically. The Malaga born player’s position in the side has been up for debate. His performances have not helped his cause. With Zidane opting for a more traditional 4-4-2 system, a system which has given the team results of late. Isco’s place in the starting line-up is once again in the region of uncertainty. The emergence of the likes of Asensio and Vasquez, along with the option of a fully fit Gareth Bale. Zidane now has better wide players, players who fit into his formation and have a better defensive output for his side. Isco’s natural position does not fit into the system and hence the midfielder has not seen too many starts off late. Kovacic’s emergence in the absence of Modric and Kroos has meant that an unlikely deeper role too will be evading him his season at least. As things stand Isco is behind Vasquez and Asensio in the pecking order and does not guarantee a start in this Real Madrid side. However, as has been the case with Isco throughout his Real Madrid career, situations have turned out to be favorable for him. Opportunities have come knocking and Isco has grasped them well on more than one occasion. What happens to him in this remaining portion of the season will be interesting to see and how will it impact the summer is another thing one can not look away from. As it stands, Isco’s Real Madrid career swings between certain and uncertain pastures.